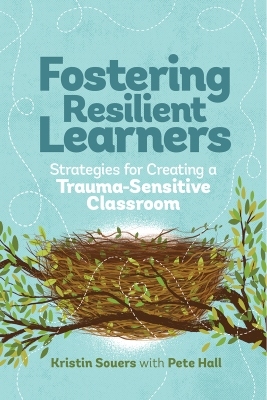 Understand what trauma is and how it hinders the learning, motivation, and success of all students in the classroom. Build strong relationships and create a safe space to enable students to learn at high levels. Adopt a strengths-based approach that leads you to recalibrate how you view destructive student behaviors and to perceive what students need to break negative cycles. Head off frustration and burnout with essential self-care techniques that will help you and your students flourish. Each chapter also includes questions and exercises to encourage reflection and extension of the ideas in this book. As an educator, you face the impact of trauma in the classroom every day. Let this book be your guide to seeking solutions rather than dwelling on problems, to building relationships that allow students to grow, thrive, and—most assuredly—learn at high levels. Premium, Select, and Institutional Plus members who either chose this Editor's Selection or made no selection get the print book. Premium Online and Select Online members get the e-book. KRISTIN SOUERS is a licensed mental health counselor. She has provided counseling services to individuals, couples, and families. With a history of working in early learning, law enforcement, education, and mental health, she has been able to develop an extensive knowledge base. As an independent consultant and adjunct faculty member at the Gonzaga University School of Education in the Counselor Education Department, Kristin now provides critical professional development, consultation, education, and training services to schools, school districts, and organizations throughout the country. PETE HALL currently serves as a speaker, an author, and a professional development agent for schools and districts across the globe. A former teacher and veteran school principal, Pete is the author of more than a dozen articles on school leadership and six books, including The Principal Influence (ASCD, 2016), Building Teachers' Capacity for Success (ASCD, 2008), and Teach, Reflect, Learn (ASCD, 2015).